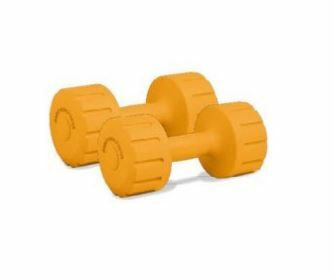 Many different exercises, focusing all muscle groups can be done using a single dumbbell. Experts say one can can do whole body workout just with one pair of dumbbells. Warm up –> squat–>stiff leg dead-lift–> lying press–>Lying fly’s–>overhead press–>lateral raise–>bent-over rows–>biceps curls–>lying triceps extensions–>abdominal crunches. 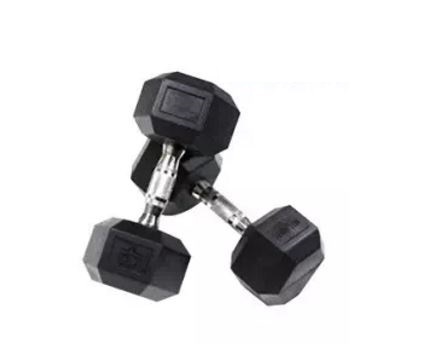 Choosing the right one – There are three main materials that weights are made from – Vinyl, Cast Iron and Chrome & 2 types of dumbbells available are fixed and adjustable types. 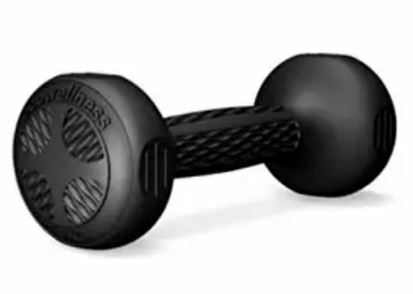 Pros of fixed dumbbells include Easy to hold, No sound while moving and finished designs. 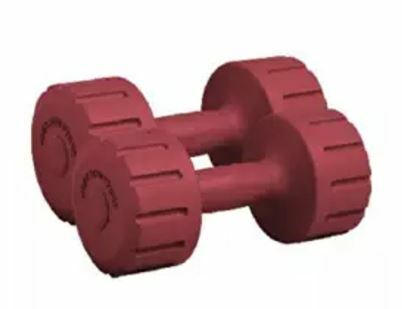 Most of fixed dumbbells is made with vinyl plastic and there for you can get them in different colours. 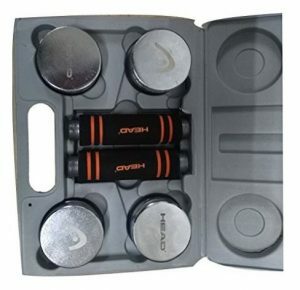 At the same time it has a main disadvantage that we cannot update the weight of dumbbell when we need to. Another problem is that it is not suitable for rough use because it will crack. 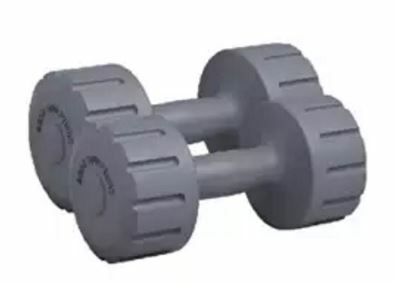 Adjustable dumbbells can be upgraded to more weight us you develop more and more muscle strength. 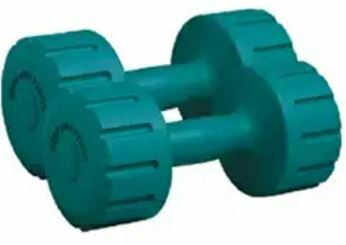 Dumbbells are available (online) with weight options 1 kg to 25 kg. 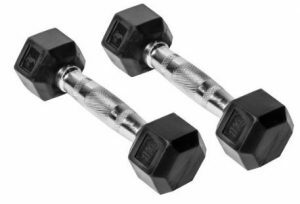 You can get a set of fixed dumbbells for cheap price or spend a little more money to buy an adjustable one. And can increase weight with weight plates of cast iron or chrome. 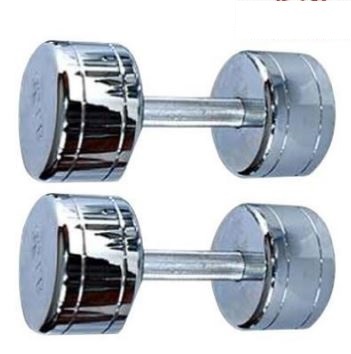 Buying a good dumbbell is no more expensive anymore. 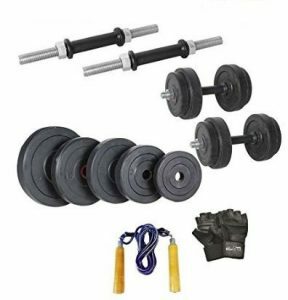 Many cheap options are available online, if you are ok with a fixed type dumbbell then it would be more cheap. Price range in – Amazon, Flipkart. 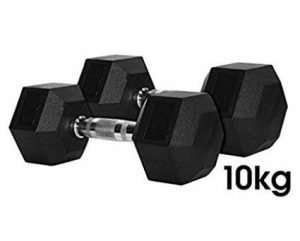 Weight – Available in different weight options from 1kg to 5kg. Grip – Rubber Grip (Solid Metal Rod) With Metal Bolts.